The castle of Montecatini, which was originally called Castrum Montis Leonis, was founded by the Belforti family in 960, when they followed the German Emperor Otto I to Italy. 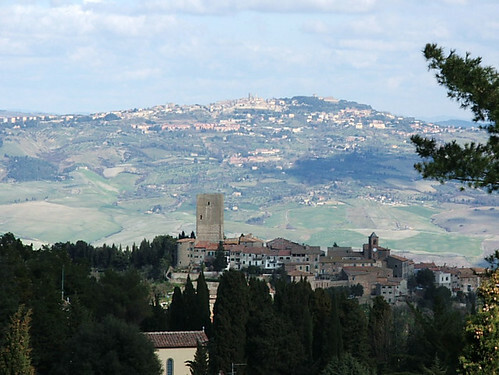 Montecatini Val di Cecina, offers a breathtaking view of Volterra and the Cecina Valley. 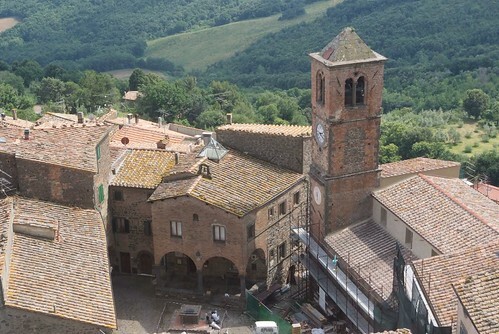 Until 1351, the picturesque town formed part of the municipality Gabrreto, when it came into the possession of Volterra. In 1471 it finally came under the dominion of Florence. With the development of the mining industry in the early years of the Italian Kingdom Montecatini experienced an economic and social splendor. At that time the town had already two theaters, and even its own band. After the closure of the copper mine at the beginning of the 19th Century the town fell into a deep crisis from which it has never really recovered. Nevertheless, the small village has lost nothing of its former charm and beauty. 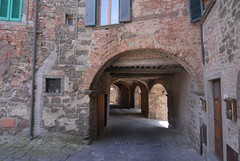 A walk through the mysterious and narrow streets, leads us to the ancient city gates, where we find the splendid Piazza del Castello with the Church of San Biagio. The parish from the fourteenth century is with its ornated archways and the elegant Ionic columns the gem of this place. Behind it stands the Belforti tower from the first century. 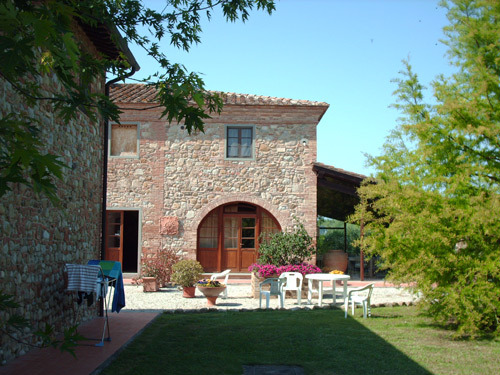 For discovering the beautiful landscapes and cultural aspects of this unique region, we offer you sports and cultural packages with accommodation in romantic wine-growing estates.